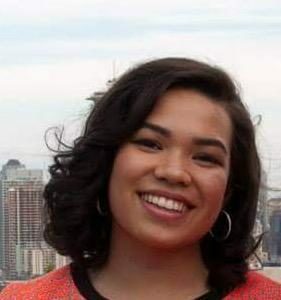 Sophie, who attended Garfield high school in Central Seattle, decided to start an intersectional feminist group (called “FEMPOWERMENT”) that would bring people from all backgrounds together to interact positively and combat internalized racism through interpersonal connection. She hoped to embolden girls and non-binary people of color and to seek alliances with other student organizations such as the Black Student Union and Vietnamese Student Association. The group met weekly, attracting from 10 to 40 people each week. In the winter of 2016 the online Teen Vogue magazine published the group’s mission statement. In late November 20 to 30 students participated in making posters. On January 30, 2016, 15-20 students participated in mounting posters in the high school to promote Black History Month and Women’s History Month. From March 7 to 30, 2016 they arranged for the All Student Body government representatives to broadcast quotes about Women’s History each day to 1500 students. On April 21st, the group helped with a presentation to 400 students on “Climate Change and Systems of Oppression” by 4 women of color. Finally, on May 7, 2016 Sophie helped organize an all-city Inter-school Feminist Convention (Fem Con), attended by over 100 middle and high school students from the greater Seattle area at the Martin Luther King Center. Sophie has graduated and is now attending Pitzer College. However, she has arranged for succession for the Fempowerment group to continue, with 2 younger classmates, women of color, taking the helm of leadership initiated by Sophie and her good friend, Hela.